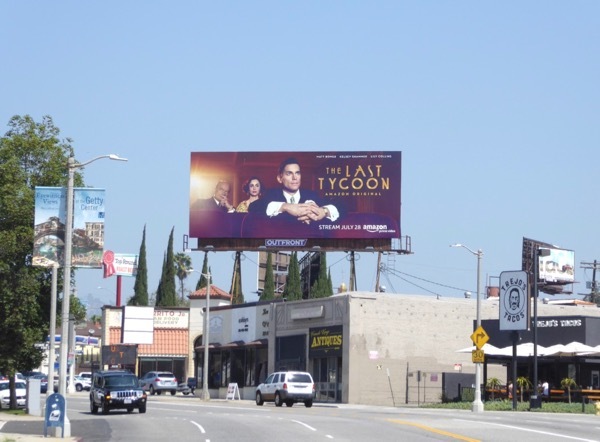 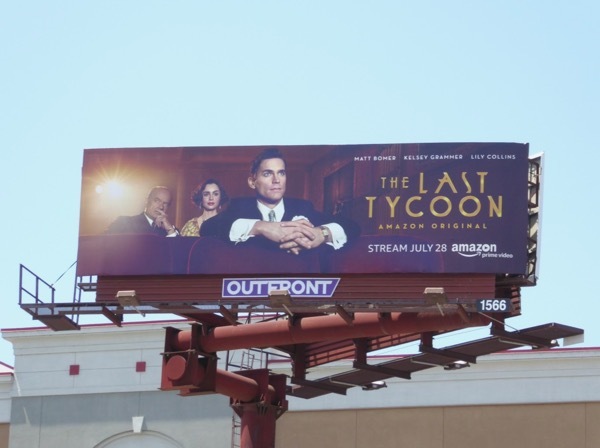 This summer why not step back in time and discover the Hollywood heydays of The Last Tycoon in Amazon's new original scripted period drama. 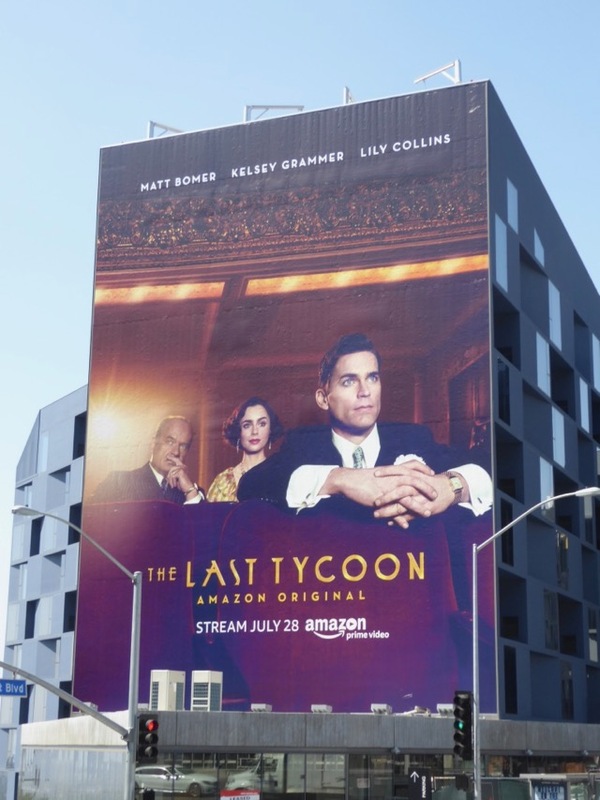 Matt Bomer stars as 'Monroe Stahr', a golden boy studio executive in the early days of Hollywood in the 1930s, struggling for power with his mentor and current head of the studio 'Pat Brady' (Kelsey Grammer), with Lily Collins playing his ambitious daughter 'Celia Brady'. 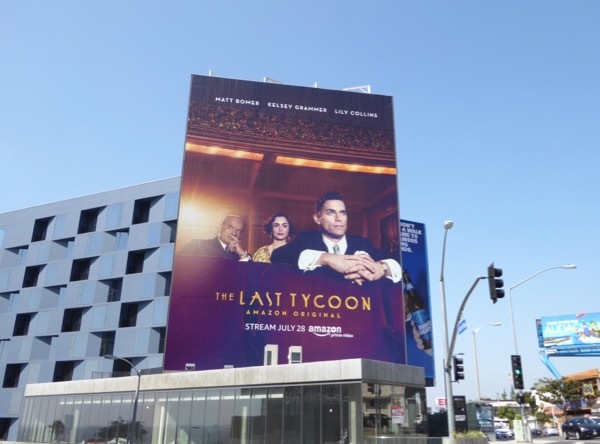 The series is loosely based on F. Scott Fitzgerald's last book of the same name published after his death and the character is inspired by famous motion picture producer Irving Thalberg. 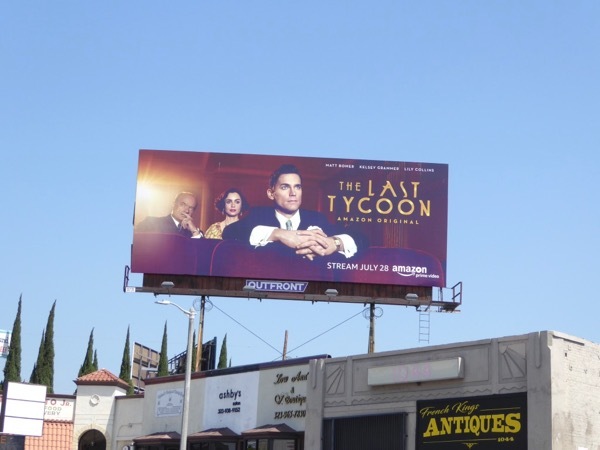 These series launch billboards certainly convey the idea of someone watching a movie screening in a vintage theatre and were photographed along the Sunset Strip, La Brea Avenue and high above Olympic Boulevard on July 21, 2017. 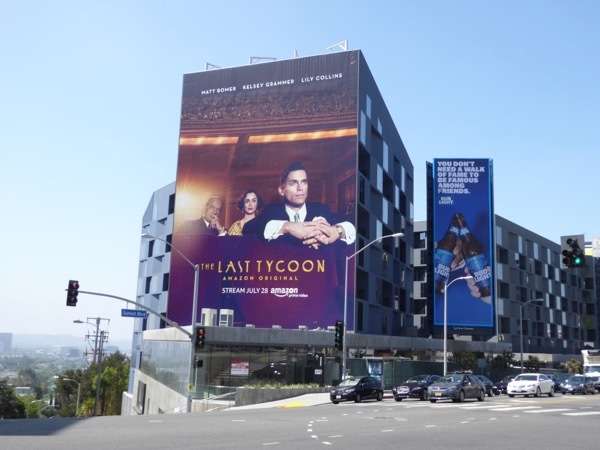 Admirers of Matt Bomer can also enjoy these White Collar TV series billboards and these Magic Mike XXL movie billboards. 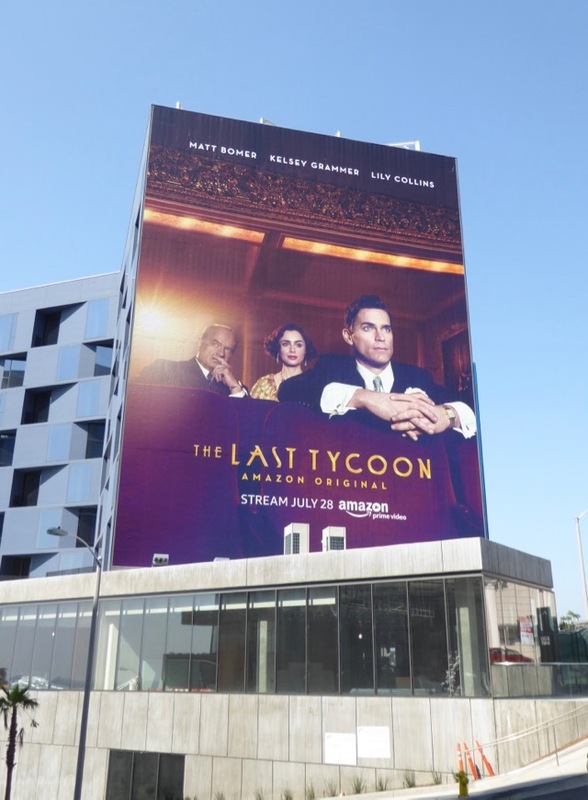 Meanwhile fans of Kelsey Grammer can check out these Boss TV billboards and for more Lily Collins you can take a look at these To the Bone film billboards, these Mirror, Mirror movie billboards and The Mortal Instruments: City of Bones movie billboards. 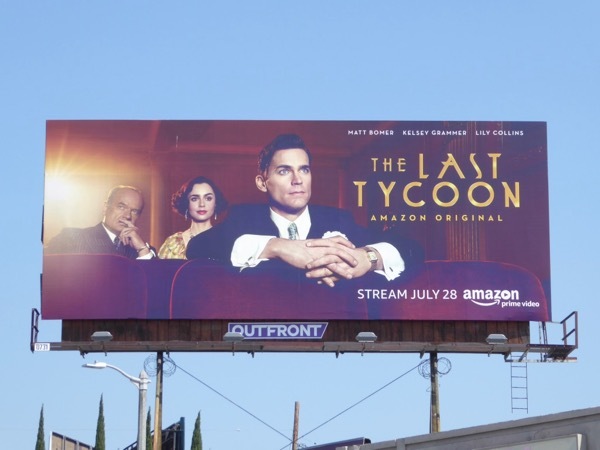 The Last Tycoon was previously brought to the big screen in 1976 with Robert De Niro in the lead role, so let's see if this lavish Amazon adaptation will be a success on the small screen.